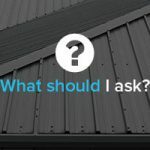 Home » News » When is it Time to get a New Roof? This one sounds obvious but if it looks worn and a bit tired, then it’s very likely that a new one is needed. 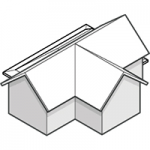 Roofs withstand a lot and protect an entire building, so it’s no surprise that they will need replacing eventually. 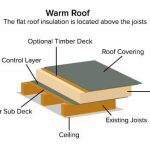 The average lifespan of a roof is 20 years, but this is only a guideline so if yours is newer than this but is having issues, don’t rule out getting a new one. If there is a lot of moss on your roof, it can be catastrophic for the roofing material. The moss burrows between it and cracks it. It then soaks up water which can leak through into your property. Therefore, if you do spot any moss growing, it’s vital that you get it removed and replace the materials as soon as possible. Chances are that your house was built around the same time as your neighbours, so if they’re getting a new roof, it may be worth investing in a new one yourself. Do first check though that there isn’t any damage caused by something individual to their property, as this may mean that yours doesn’t need replacing just yet. It’s important to check the surface of your roof to ensure it is still in good condition. If you notice any holes, this could be from missing screws or nails that have worked their way loose. 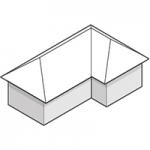 Make sure you tighten them back in place and secure with a good quality sealing. Roofs are made to withstand a lot of different conditions, from wind, rain and snow which can all have an impact on its longevity. 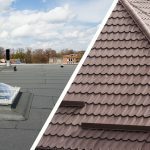 If there is water damage, it’s natural to jump to the idea that you need a brand new roof, but this might not be the case – sometimes it can be fairly easy to fix, and it won’t cost you as much as a new roof. If there is a lot, though, and costs start adding up for the repairs, it may be beneficial to start afresh with a new one – this should be discussed in detail with an expert. Here at JTC roofing we’ve got a wealth of experience that has given us a great reputation which we’d be happy to prove to you! 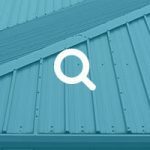 If you’re looking for a new metal roof, some repairs to be carried out or even just come information and guidance about keeping your roof in the best condition, please get in touch today.